Detect diffuse emissions using easy to install wireless devices. Most industrial processes produce some type of environmental impact, directly affecting a multitude of occupational risk factors, public health and natural disasters. The true responsibility of companies is not to try to reduce the damage they cause, but to adopt strategic measures to foresee, avoid and even compensate for this damage, and monitoring industrial perimeters is essential to achieve this goal. Kunak AIR A10 and P10 Air Quality systems easily monitor industrial perimeters in a simple and user-friendly manner. 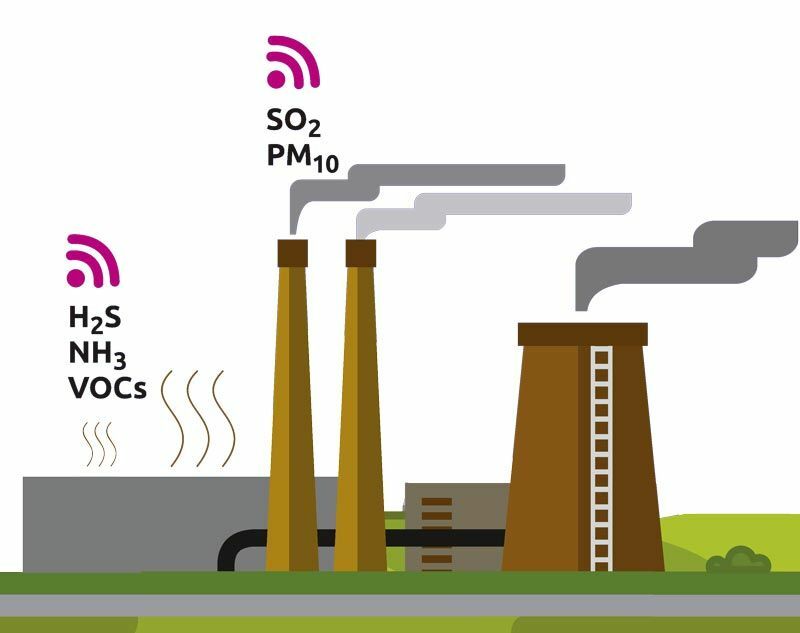 Small size Air Quality devices measure gas and particle levels (for CO2, CO, NO2, SO2, VOCs, H2S, O3 and PM1, PM2,5 and PM10) and send the data to Kunak Air Cloud. The devices capture highly reliable data 24 hours a day, 7 days a week, allowing users to configure warnings and remotely manage and calibrate the equipment. An autonomous and 100% wireless end-to-end rapid-deployment solution to anticipate problems, evaluate measures and focus on managing your day-to-day with the peace of mind that you are always informed.